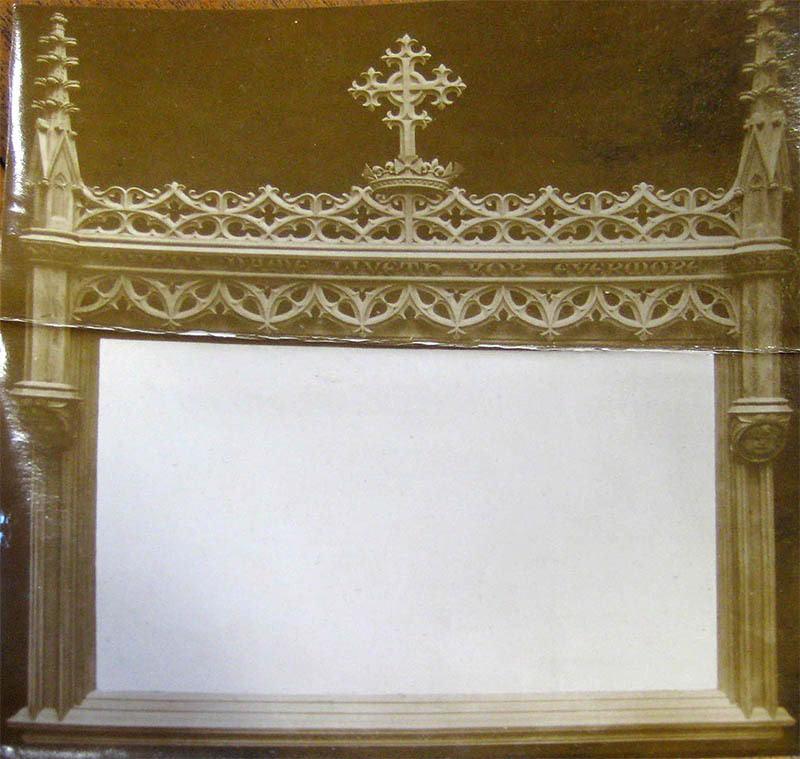 ‘In the chancel is the very handsome War Memorial of white marble in carved oak frame of Gothic design, with the inscription : ‘In gratitude to God for a great deliverance this tablet was erected by the people of Darnall to keep alive the memory of our men who fought and fell in the Great War 1914-1918.’ It contains 194 names, and cost £168. This roll of honour is 'lost'. 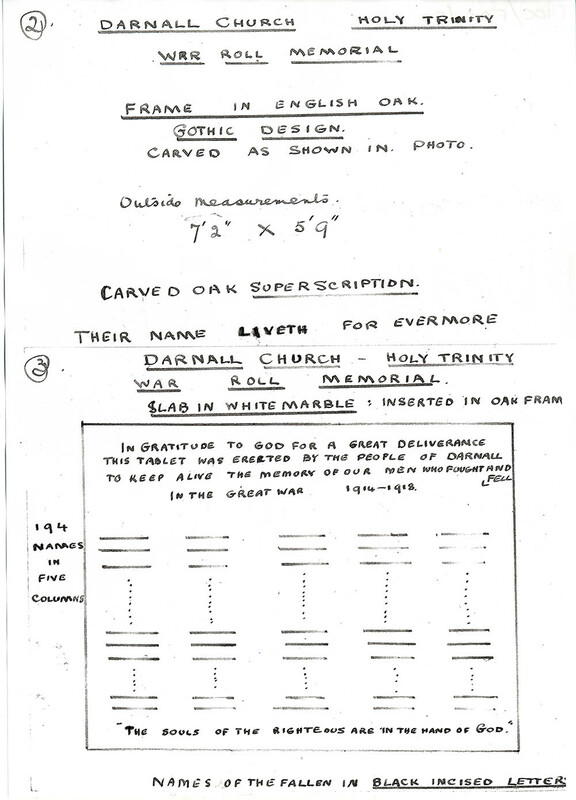 Sheffieldhistory forum member 'Knightstemplar' has made it her holy grail to find it. 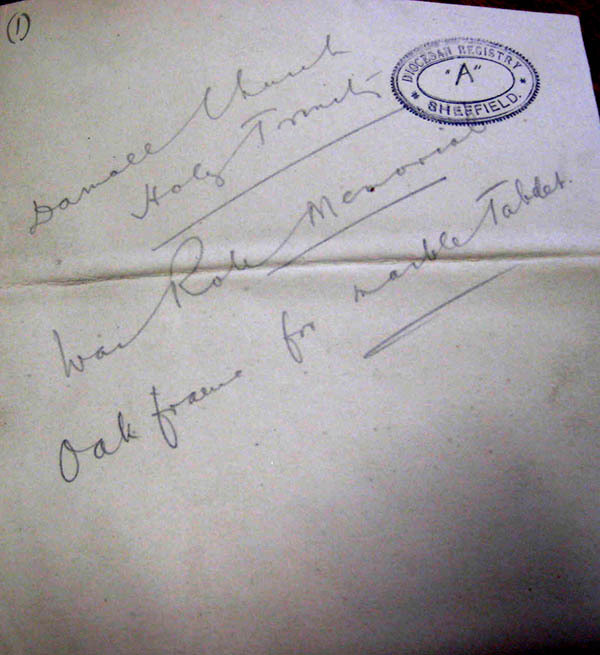 Together we put together a 'modern' list of names to try and commemorate the men of Darnall.